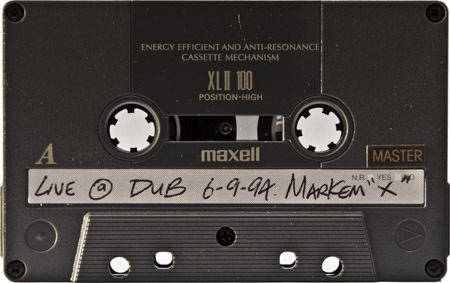 Live recording of Markem X, at Dub, held at Louis XIV in Los Angeles, on June 6th, 1994. Such a great release. The flip side is brilliant as well. Reminds me of Mojo’s Trancendance tape, which I thought I added already… I need to get that up here. Jason, I would be honored. Funk de Fino… such a great track! I listened to this one at work last night. Mark was one of my favorite DJs back in 92. We had some great musical discussions. Is that Jean-Louis on the mic in the latter part of the tape? So funny. If anyone can please locate and upload Markem X “Acid Indigestion” mixtape circa 92/93, then I would really be eternally grateful. Thanks! I second that request. I remember side.a started off with (Amorphous Androgynous – Swab). That tape was really dope! 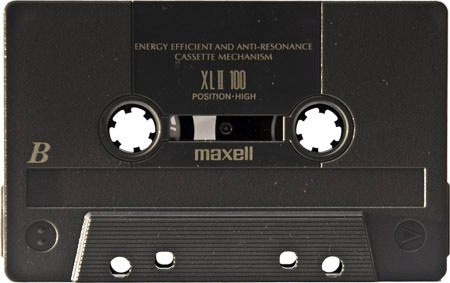 Its on its way in from me….along with 4 Milky Way tapes not posted and a couple other gems. Wow! Where the heck did this come from?! What would you call this — proto-breakbeat? Obscure-as-hell San Fran deep house? Cryptic dark Detroit electro? I’m not totally sure about anything other than being glad I punched “Markem X” into Google tonight. What ever happened to that guy? He seemed to disappear and never did the perma-DJ-touring thing like most of the other L.A. guys did… hmmm. Markem (Mark) is my brother and he’s on Facebook!! You can email me at jena.mueller@yahoo.com or you can find him on Facebook he would love to hear from you! !